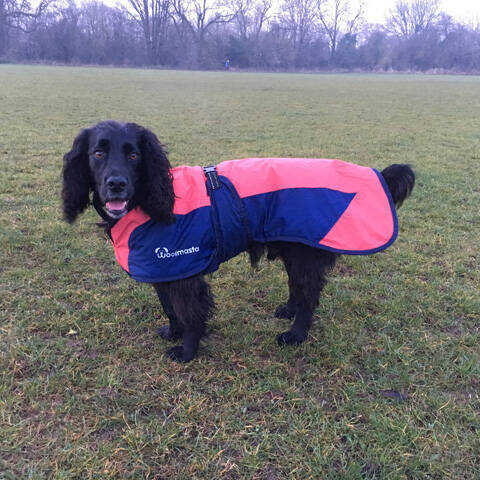 Model and hooman enthusiast Wiggo is a spoilt spaniel with a love for walks and cuddles. 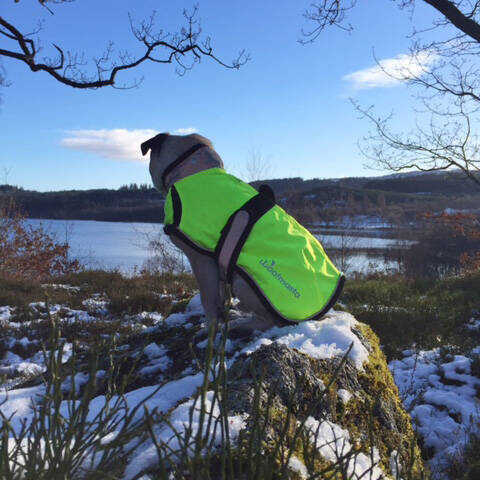 Wiggo’s favourite product is his reflective coat, with his arthritis he sometimes suffers if his joints get cold so his coat is keeping him warm during and after his adventures exploring Yorkshire. Douglas is a 7 year old pug and lives in Glasgow but spends most of his spare time out in the country and up the hills walking. For a breed which loves to snooze (which he will happily do all day if you let him) he is now an avid hill walker and loves to surprise the many other walkers he meets out on a day out. He has only had to be carried once when the snow was triple the height of him!